We offer a wide range of Level Sensors that we manufacture, using the superior quality material, high-end and accurate components and latest designs to ensure accuracy and efficient performance and endurance. 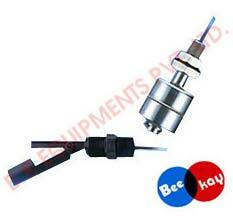 All are sensors are tested for quality and accuracy and conform to global standards. We offer these products at extremely competitive market rates and are respected as a quality supplier and exporter for Chennai.